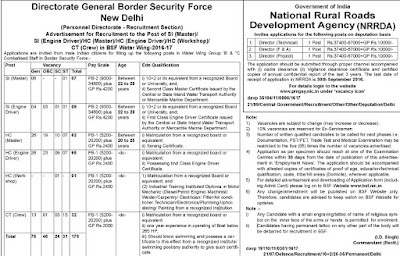 SI post :- 10+2 or equvalent from recognized Board and Second class master certificate from ITI for Master post and First class Engine driver certificate issued by ITI for Engine driver post. HC post :- Matriculatin pass and Serange certificate. Technician/Electronics/Plumbing/Upholstering/Painting from a recognized Institution. III one year experience in operating of Boat below 265 HP for Crew post also know swiming. qualification, caste, tribe/hill areas (Domicile), wherever applicable. 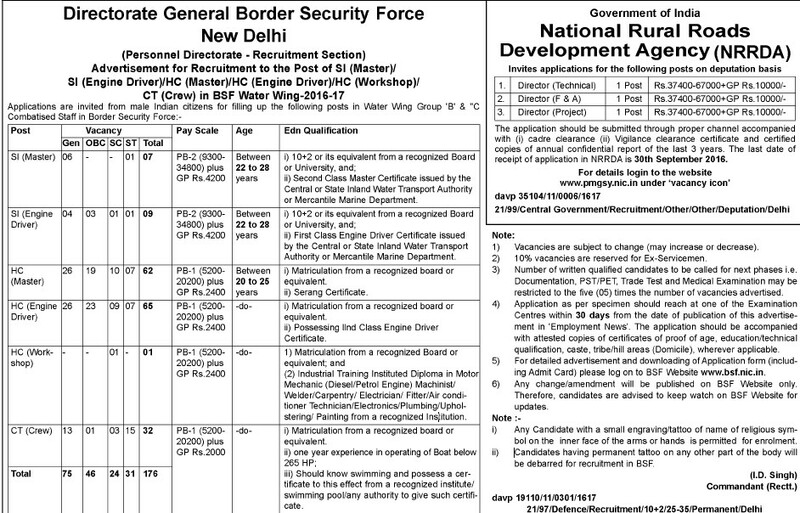 For detailed advertisement and downloading of Application form (including Admit Card) please log on to BSF Website www.bsf.nic.in.